As you can see not much special here: I have included the release plugin of Maven, the SCM developers connection so it can check-in and out the code of the SVN repository and Artifactory as repositories to deploy to. So that works. 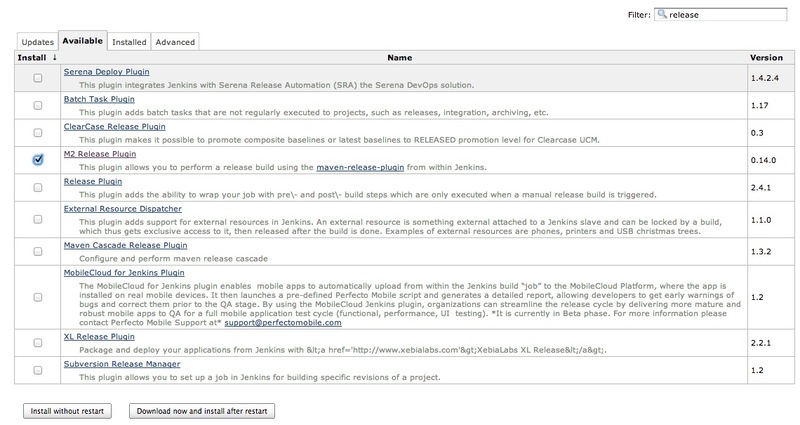 Now let me show you what steps I needed to make it work on a separated Jenkins server. 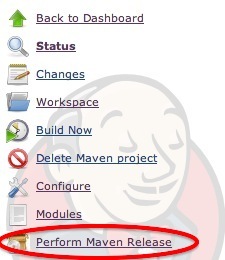 Now I can run the Maven release build in Jenkins like it runs on my local machine. 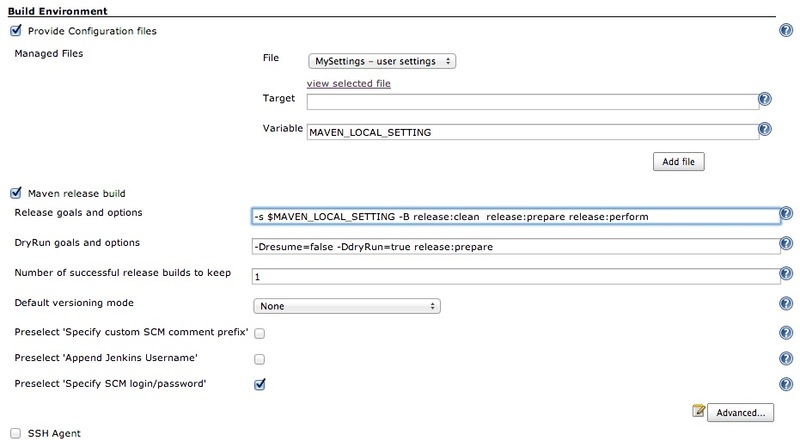 This entry was posted in Jenkins, Maven and tagged Artifactory, Continuous Build, Jenkins, maven. Bookmark the permalink. 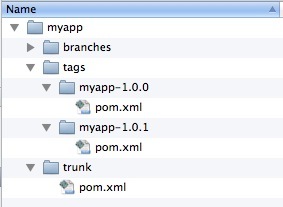 Could I ask you, how do the testers know which revision they deployed on their environment ? In our case it are not the testers that deploy the releases but the ‘Operations’ department. So you could ‘solve’ it by setting up a procedure. 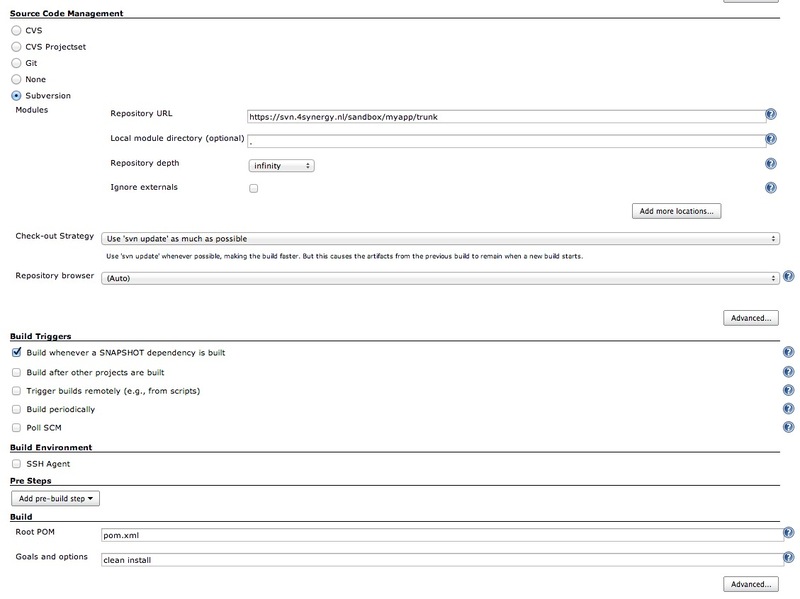 Another more dynamic option would be to create a web page (or in case of Mule ESB a http inbound endpoint) that shows the version + build number of the current deployed release so the testers could easily see what version they are testing against. Is that the kind of info you were looking for?